LOS ANGELES (AP) — Technology and internet stocks have led the way for much of Wall Street's bull market run, propelling the stocks of big names like Apple, Amazon and Google's parent company sharply higher along the way. Those jitters gave the Nasdaq composite index, which as a high concentration of technology companies, its biggest loss in more than two years Wednesday. It extended its slide Thursday and has fallen 9.6 percent since it set a record high in late August. Apple, Microsoft, and Netflix have posted steep declines. Amazon and Google-parent Alphabet, respectively the second- and fourth-most valuable U.S. companies, have fallen more than 10 percent from their recent peaks. Facebook, the sixth-largest company, has shed 29 percent since late July. 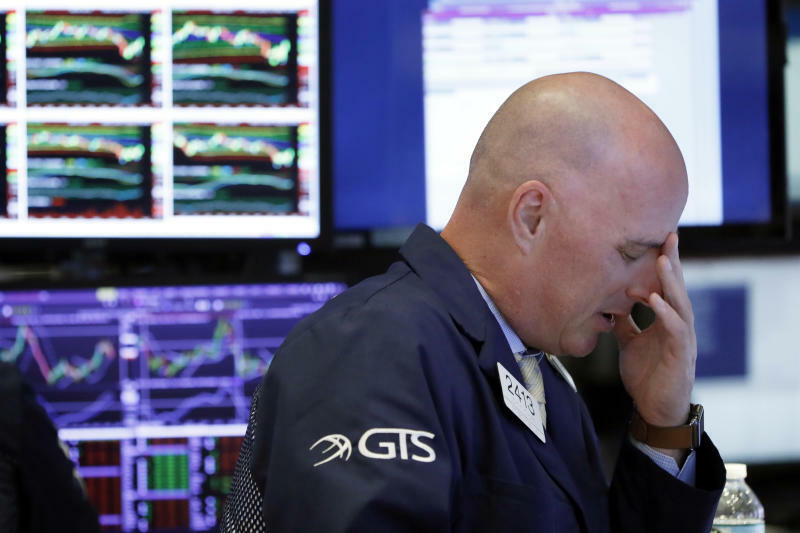 "The sell-off was perhaps a little overdone," said Lindsey Bell, investment strategist at CFRA. "A lot of it may have been investors just kind of taking profits in some of the high-flyers of the year that also have high valuations." The yield on the 10-year Treasury jumped from 3.05 percent early last week to more than 3.20 percent Wednesday, a seven-year high. It dipped to 3.15 percent Thursday. Interest rates tend to follow increases in bond yields, eroding profits for companies, which have to pay higher interest-rate costs to borrow money. They also make bonds more attractive investments relative to stocks. Technology and internet-based companies are known for their high profit margins, and many have reported explosive growth in recent years, with corresponding gains in their stock prices. That's made them particularly vulnerable to higher interest rates, because it makes the stocks' already high valuations look even more stretched. For Amazon, it might mean consumers curtail their spending on merchandise in its e-commerce site and decide they really don't need an internet-connected speaker like the Echo, after all. And Netflix might have more difficulty attracting subscribers, or even start seeing more cancellations to its online streaming service if households feel squeezed. There's another cloud hanging over Netflix's stock, too. The company is scheduled to report its third-quarter results Tuesday. After it missed its target for subscriber growth during the spring, investors may be bailing out of its stock for fear the trend continued during the summer months, when it's traditionally more challenging to get people to sign up for a video service because of vacation schedules and good weather outdoors. The margin of error for these companies is extremely thin because the dramatic run-up in their stocks has driven a key stock benchmark — price-to-earnings ratio — to astronomical levels. None more so than Netflix, with investors still paying the equivalent of $147 for every $1 in earnings, even after its stock has tumbled 12 percent during the past week. Even with the recent sell-off, Netflix's stock is still worth nearly three times more than it was just three years ago and seven times more than it was five years ago. Long-established technology companies like Apple and Microsoft, which now pay dividends because they aren't growing as quickly as they once did, have also been caught in the downdraft. That's despite Microsoft still making software that powers most of the personal computers in the world and Apple's iPhones and other gadgets still attracting legions of loyal fans willing to pay premium prices for the products. Apple's popularity shows in its profits. If analysts' estimates prove accurate, Apple earned $13.3 billion from July through September, or about $6 million every hour. The company is scheduled to report its earnings on Oct. 30. "We're still optimistic going into third-quarter earnings, with regard to technology," Bell said. AP Business Writers Stan Choe in New York and Michael Liedtke in San Francisco contributed to this report.